If past few years you are planning to Quit your Job and Start your own Business then this article is for you. One of the reasons for not starting a business is ‘Comfort Zone at your WorkPlace‘. Below we will share how the Internet can help you in getting out of your comfort zone and start your own business. But before starting with the article let us understand what is comfort zone with a beautiful example. If you put a frog in a pan of boiling water, the frog will quickly jump out. On the other hand, when you put a frog in the cold water and boil the water over time, the frog will boil to death. Here, when you put the frog in the cold water, he feels comfortable and slowly over the time when you heat the water he gets died because of its comfort zone. Similarly, when you are familiar to a person and at ease at your workplace then you are in the comfort zone. In this case, you will keep hunting for the business opportunities but you will not find any of it. You will keep saying ‘I will quit my job, once I find the good Opportunity‘. But you will never find this opportunity and gradually you will get finished in this comfort zone. But here the Internet can help you. With the help of the Internet, you can start a business while being in the comfort zone. Yes, we are not joking. There is no need to quit your job and step out of your comfort zone to start a business. Just check out below article to know how we managed to start an online business while working a full-time job. So, if you want to step out of your comfort zone and start your own business then you can take the help of Internet. At the initial level, you can work online and once you are out settled down you can expand it. Of course, by working online, you can also manage the capital for your business. This will be a golden idea for a person who wants to start an online business while working for a company. So, what are you waiting for? Just start making money from your online business now. 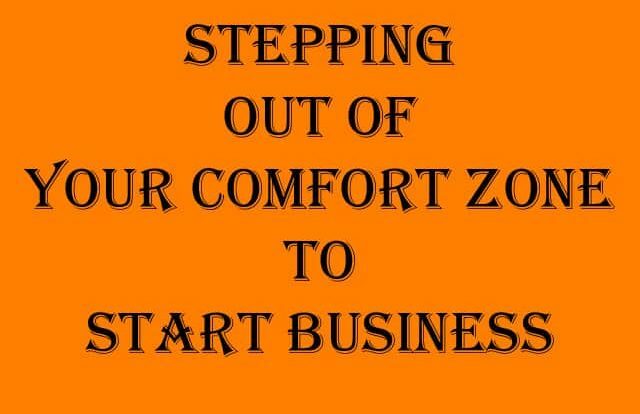 Now your turn, if you have used any other methods to get out of your comfort zone to start your own business then please do share with others. We will be happy to hear from you. You can share your message in the below comment box.